On Friday we had a lunch date with my friend and her one year old daughter. 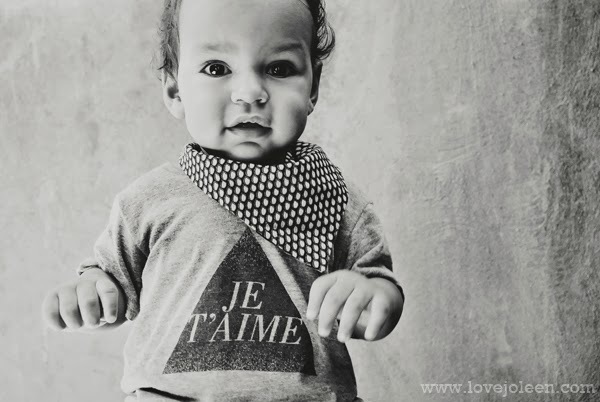 I thought it was the perfect occasion for Benjamin to wear his new Je T'aime tee from Whistle & Flute. "Whistle & Flute Clothing is a line of modern, stylish and affordable children's apparel inspired by Japanese kawaii characters, modern design and typography. The name, "Whistle & Flute" comes from the English rhyming-slang for a suit of clothes. I have had my eye on this shirt for Benjamin for a while now. You hear me say it again and again but graphic tees are my favorite. 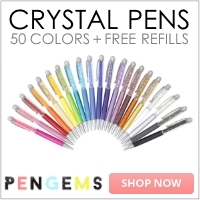 They go with everything and there is one for every occasion. 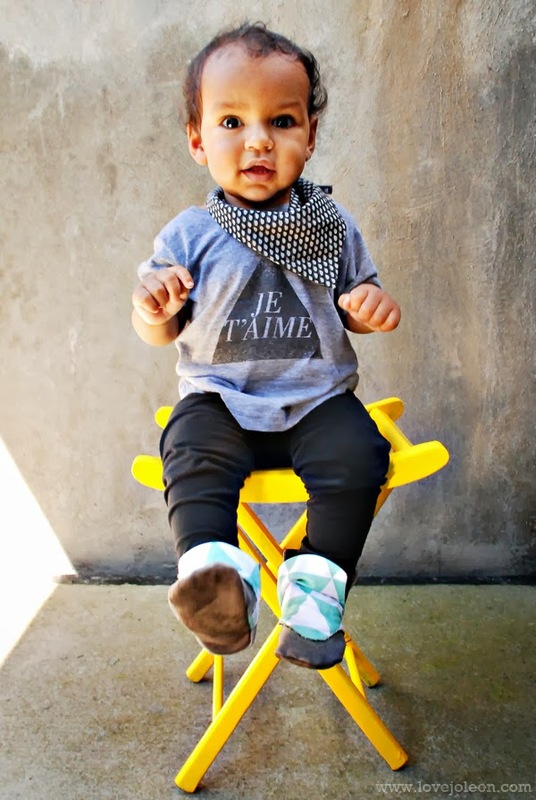 Je T'aime means "I love you" in French and who doesn't love a shirt with that message? Paired with this triangle graphic and it's just the right mix of modern and classic. Whistle & Flute prints on American Apparel tees and this particular print is on the tri-blend tee (my favorite). Benjamin is wearing size 12-18 months. 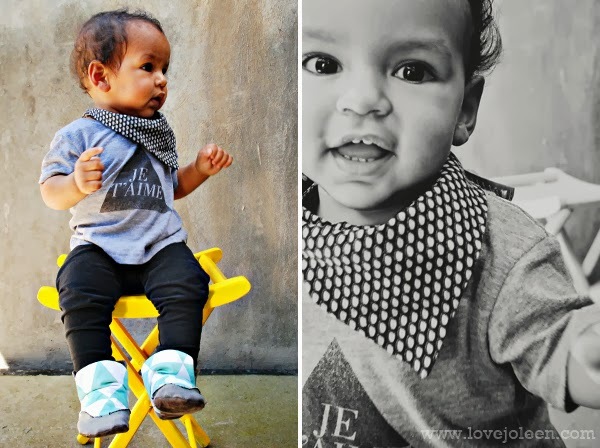 I wanted to play off of the triangle with this outfit so he is also wearing one of my favorite baby accessories, a reversible handkerchief bib from Susie's Custom on Instagram (love IG shops! 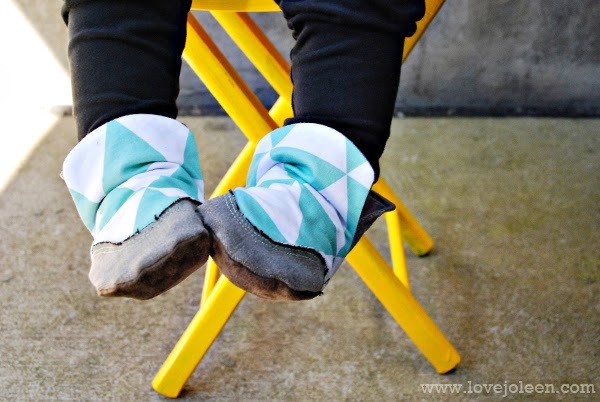 ), and the most adorable custom hi-top booties from Love, Joleen sponsor, Paper Krane. 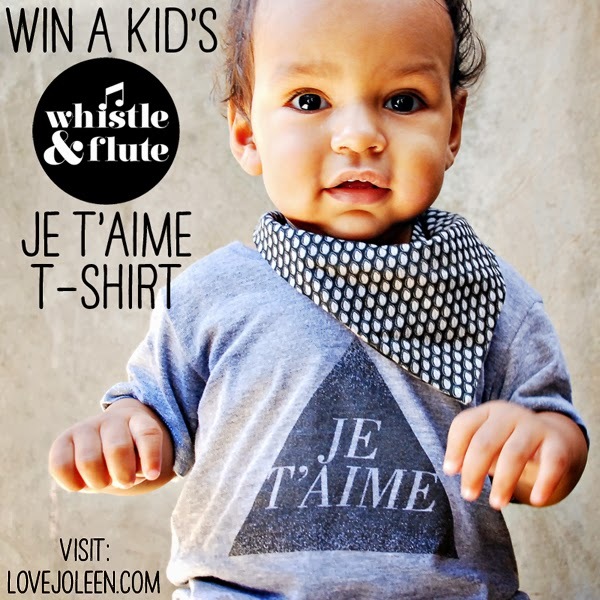 One reader will win their very own Whistle & Flute Kid's Je T'aime T-Shirt! The giveaway ends Thursday at 11:59 pm EST. There are ways to enter daily so be sure to pop back over to up your chances! Best of luck! 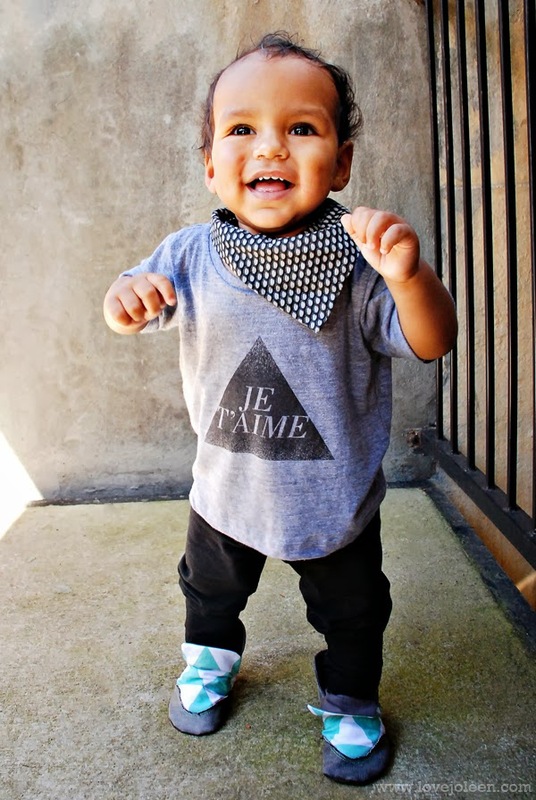 *Non-disclosure: Kids French Tri-Blend Je T'aime T-Shirt Unisex c/o Whistle & Flute in order to review. Custom Hi-Top Booties c/o Paperkrane. Handkerchief Bib from Susie's Customs.